The Westcombe News was first published in June 1973. Links to issues published since 2012 can be found HERE. A copy of the 1973 issue came to light a few years ago, courtesy of the Greenwich Phantom. You’ve guessed it.. PDF in B/W! Today the Westcombe News is produced monthly 10 times a year. Over 4,000 copies are distributed to all homes in the Westcombe Park area and to local libraries and some businesses. Apart from printing, the cost of which is covered by advertising, all this is done by unpaid volunteers. It is a lively newspaper covering Westcombe Society News and events, local articles and other news items which affect our area. We are very keen to encourage input from local people. We try to promote local causes and businesses and strive to keep our local area vibrant and forward looking. We now also publish PDF* versions of all editions on this website for those who do not have access to paper copies. Please scroll down this page for links. We hope this will help maintain a link to the area for past residents, as well as offering an insight in to what it has to offer newcomers. 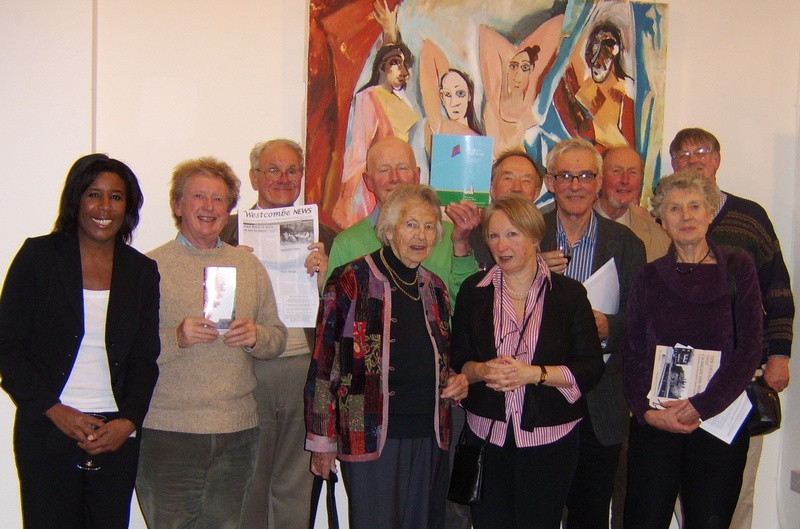 In November 2005 the Westcombe Society was the winner of the Walter Bor Media Awards Class Category 1 (Newsletter) for the Westcombe News and has been regularly commended ever since. These awards are for publications by local community groups and are sponsored by Walter Bor (Walter George Bor 1916 – 1999 who was an Austrian-born British town planner and architect who was very influential in the development of new towns in the UK and elsewhere). The Awards are organised by the London Forum of Amenity and Civic Societies of which the Westcombe Society is a member. The Westcombe News is the only newsletter nominated that serves the whole community rather than just the members of a Society – something of which we are very proud. We are extremely pleased to have had the Westcombe News recognised in this way. It represents a huge tribute to all the hard work of Neville Grant, the Editor. Neville would like to pass on his thanks to everyone involved in writing,producing, editing and distributing the WN, as well as to those who both obtain and pay for advertisements in it. Your help and support is invaluable to us. If you are interested, the Westcombe Park/Shooter’s Hill area was also referred to in this Guardian article in late October 2007.